The Chinese Sword Machete is the newest in Cold Steel’s historically inspired weapons collection. This machete has a strong, full-tang construction with a molded polypropylene handle for maximum durability. The super wide 24 inches 1055 carbon steel blade will cut through your most difficult jobs and the anti-rust finish will ensure that you get years and years of use out of it. A Cor-Ex sheath completes the package. that's a machete, sharp. I spent many hours of fun, cutting soda cans, limbs, pizza boxes , practicing katas. You know , I've enjoyed a lot this sword !. Good price !!! I like the cold steel Machetes. This one is even better. Right out of the box, right out of the sheath, It was just so nice. I spent an hour cutting 2", 3", and 4" limbs and small trees. Yeah I got a few small nicks, tiny really. Washed it off. took a stone to it, and thirty seconds later it was ready again. Nice for the price, good machete. Has an good edge and is very well made but the sheath could have been better. But overall a good sword or machete. Wow, nicely made and has an authentic feel of a real dadao (top heavy blade with counterweight long handle). I collect and practice with Chinese military Dadao's including some WW2 era Dadao's and have several Cold Steel Dadao's and other various commercial versions. Of course these Dadao's can run to hundreds of dollars each . I was very surprised when I received this Cold Steel Dadao Machete. The size, shape closely mimmicks the Cold Steel Dadao which now retails about $350/$450. The blade is somewhat thinner and the handle is made of polypropylene type material. 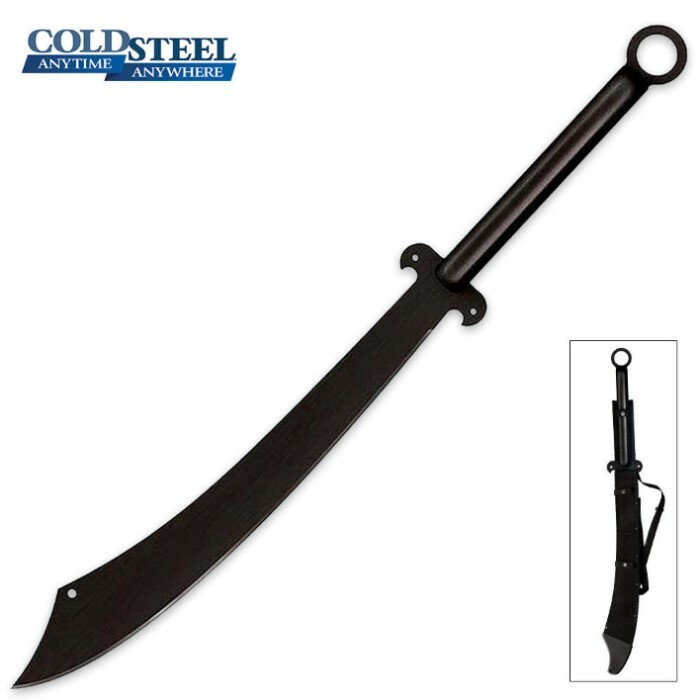 I have not tried doing cutting yet, but feel that it may not quite cut or chop as well as the real Cold Steel Dadao's, but for the price, should do the job well as an all around machete. This machete can be used to cut and trim branches, even chop light trees, bushes and firewood and other yard and camp chores. 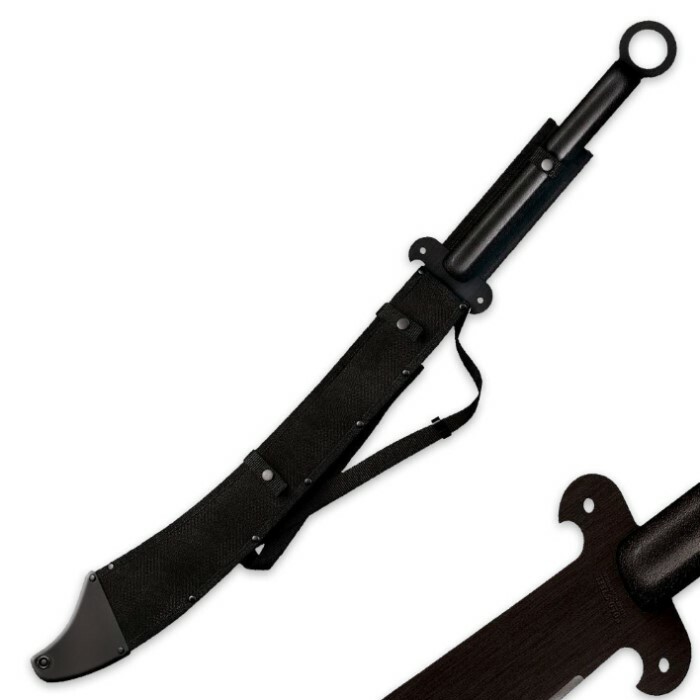 I would feel quite well armed with this Dadao Machete should the need arises to defend myself or my family. I would redo or rewrap the handle with some cord or other more tactile wrapping, but other than that, it is very usable as is. It is a bit large to take on hikes, but would serve its purpose at camp or backyard. I would keep one in the car as well for Zombies, hahaha.